Collection of 'High-Tech Gadgets For Music Enthusiasts' from all over the world. 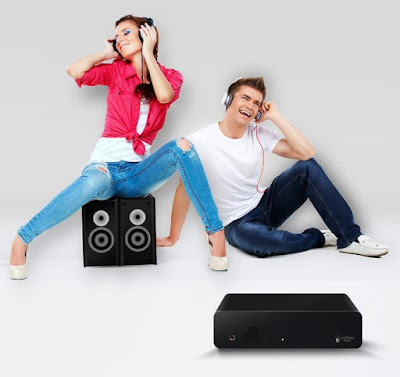 Popcorn Hour A-500 Pro: Popcorn Hour A-500 Pro is a networked media jukebox that provides astounding sound for music-listening and superior video quality for movie. Buy Now: $599. Mixfader: Mixfader is a wireless device that connects to your smartphone or smart device and turns it into a complete DJ setup. 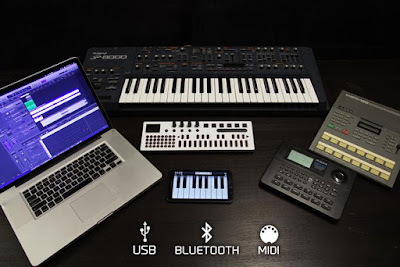 It uses Bluetooth to connect to your smart device and works along with related application that gathers all must-have functionalities for mixing and scratching - music, DJ effects and more. 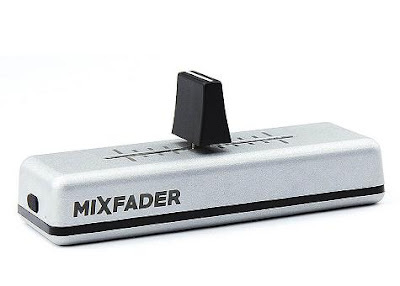 To make it work all you have to do with Mixfader is move back and forth to pass from one piece of music to another, cut or even create new rhythmic sounds. Buy Now: $129. 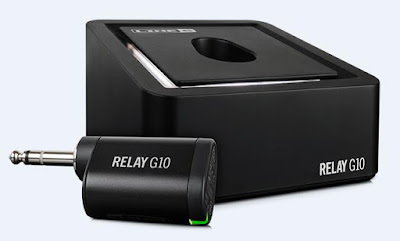 Relay G10: Relay G10 is a plug-and-play digital guitar wireless system that's easy to use and works just like a guitar cable. It gives you incredible sound quality, rock-solid performance, and no wires. This compact instrument wireless system consists of transmitter, and the receiver; just plug in the 1/4" transmitter, and the receiver automatically selects the best channel. It lasts for up to 8 hours of playing on a full recharge and when it enters sleep mode, it turns off transmission and turns on when it detects sound signal. Buy Now. 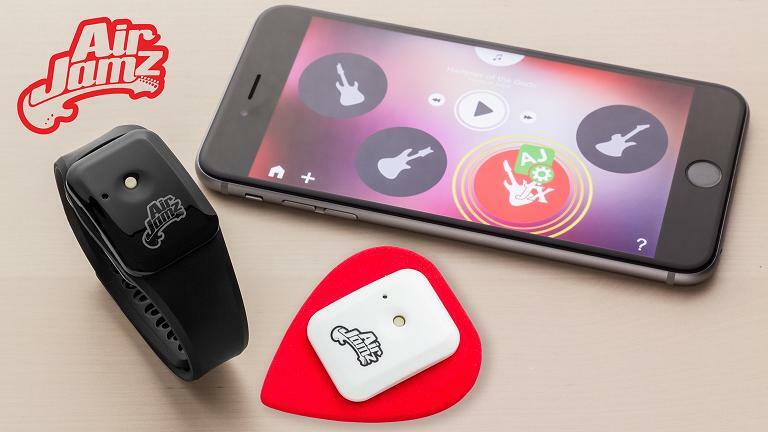 AirJamz: AirJamz is a wearable that turns your air guitar into a wear guitar. Buy Now. 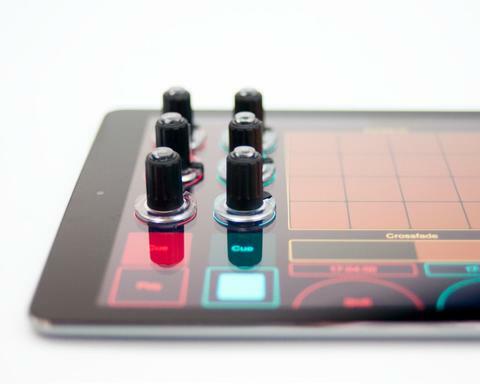 du-touch S: du-touch S is a powerful tool for composition that's mobile and autonomous, intuitive and spontaneous, fun and educational. It features 3-octave optimized dualo keyboard, 50 instrument sounds, 1 GB-memory sampler, lasts up to 8 hours and can be easily placed into your backpack. Pre-order: About: $445 (399.17 €). 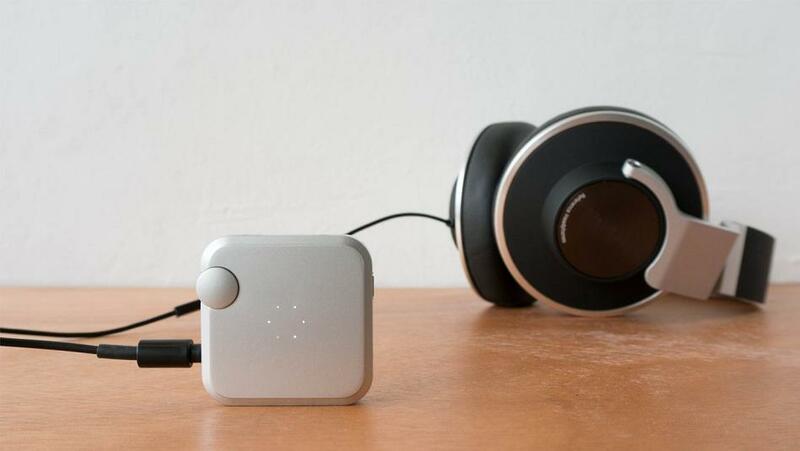 soundKey DAC: soundKey DAC is designed to part of your headphone cable and brings your music on the move to life. Just plug the soundKey into your smartphone, and your headphones into the soundKey for a highly improved listening experience. More info. 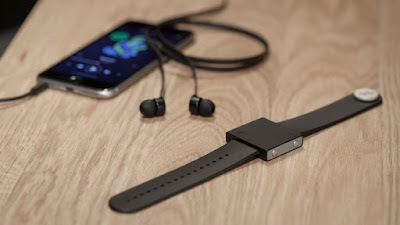 Basslet: The Basslet is wearable subwoofer that uses a whole new technology for sound and lets you literally feel the music. It provides the beats and basslines of your music directly to you resulting in a powerful sound experience. Buy Now. 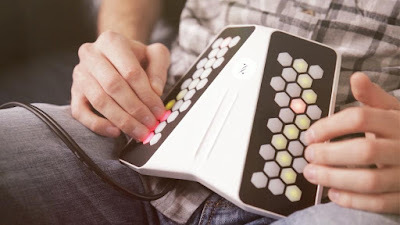 Kordbot: Kordbot is a music production assistant that combines a chord generator, arpeggiator and step sequencer in one device. It lets you easily play 1000s of chords on any polyphonic MIDI capable device. It comes with 32 built-in chord types including inversions for each, with another eight user-banks for storing customized chord types. Pre-order: $249. Remidi T8: Remidi T8 is a smart wearable device that lets you record, play and perform using your own hands. You can record original music or remix your favorite tracks in real-time. 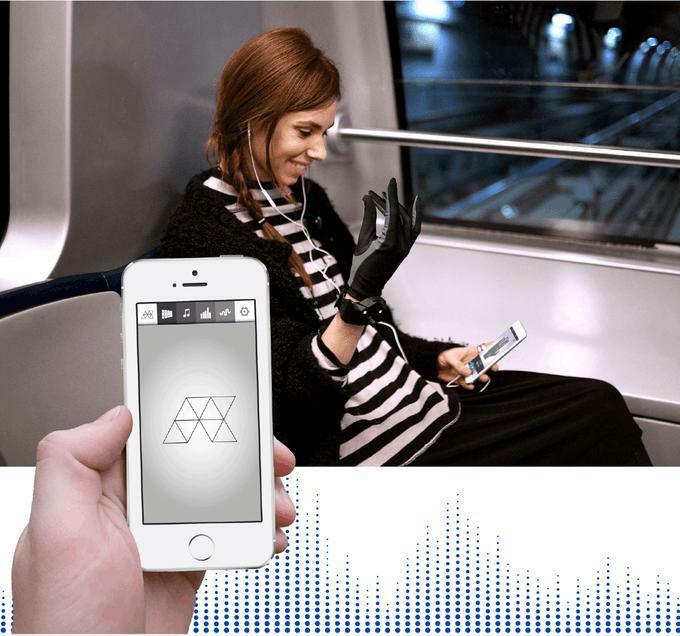 Use handgestures to control effects of this music glove. 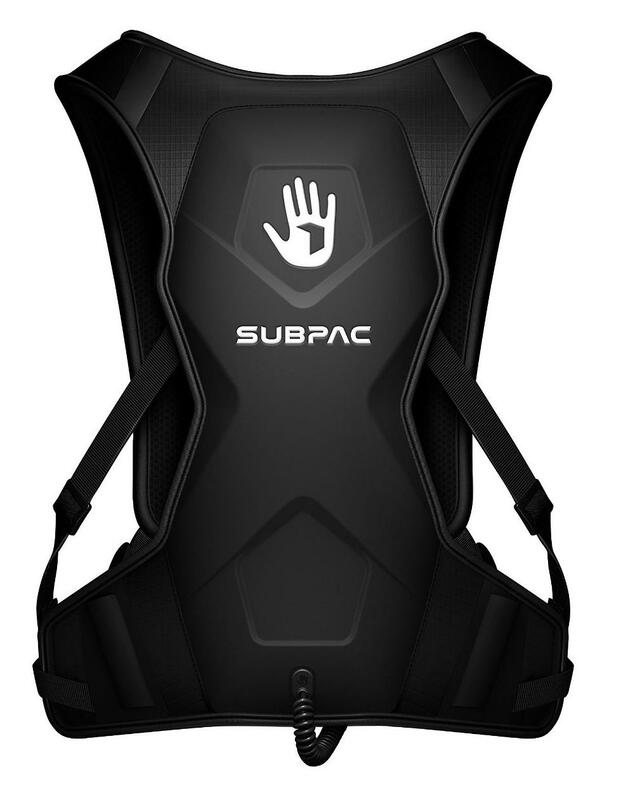 Buy Now: $ 349. 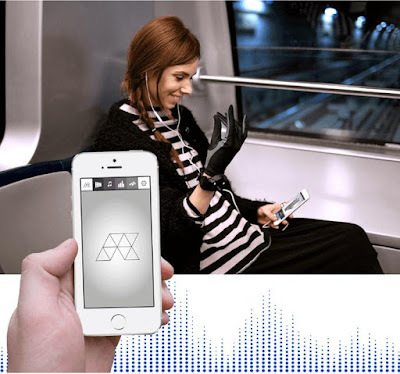 Aumeo: Aumeo is a smart device that uses audio tailoring technology and enriches your music experience by customizing music to your ears' unique sensitivity. Using its app (iOS and android) you can create your audio profile in 2 minutes. 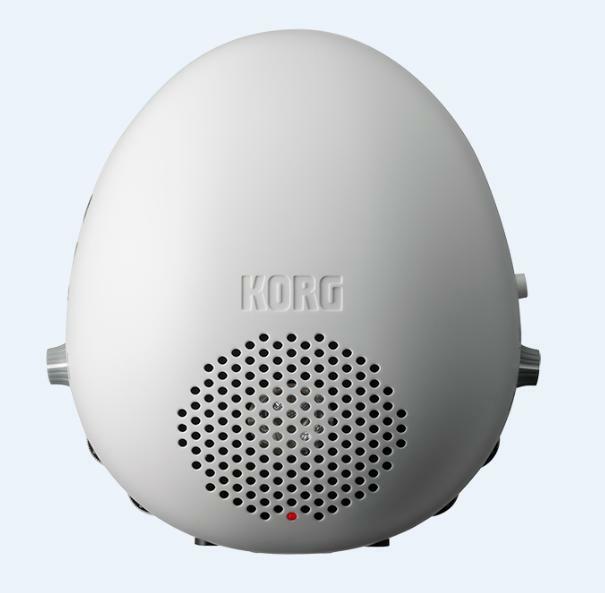 It's capable of finding out your sensitivity to each frequency and tailors music to each ear. It works with your favorite headphones and music player. Pre-order: $199. Subpac M2: SubPac M2 is a wearable tactile bass system that lets you feel the music in your body. It connects to any audio device via headphone cable or Bluetooth and projects low frequencies into your body. It lasts up to 6-8 hours of use on a single recharge. Buy Now: $349. Tuna Knobs: 6 Tuna Knobs are styled in the shape of knob that attaches on top of the virtual knob of your favorite apps, and gives you a physical knob for your touchscreen to control DJ and music making apps. It works on your iPad, iPhone, Android and windows smart devices. Buy Now: About: $66 (€59). Cliphit: Cliphit turns any surface into a drum kit. You can clip it to table, desk, or almost any surface. These clips can also be attached to practicepads, using them to play drums or any of its programmed EFX sounds. This drum kit makes it easy for you to practice your skills on the go and can enhance your experience and creativity. Buy Now: $99.99. Illuminating Piano: The McCarthy Music 61-Key Illuminating Piano features illuminating keys that make it easy for you learn how to play. 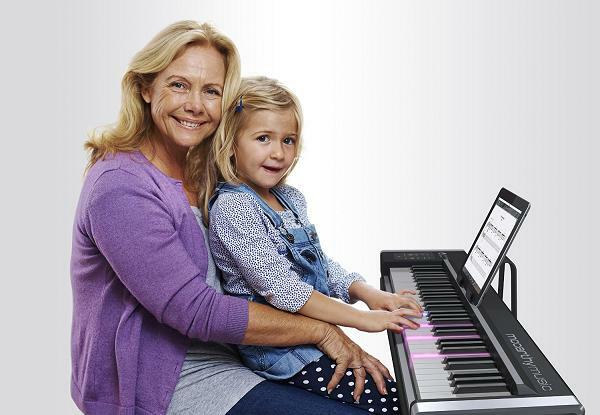 Its software guides you through the piece of sheet music; illuminated keys show you what keys to play when you want to learn a piece of music. 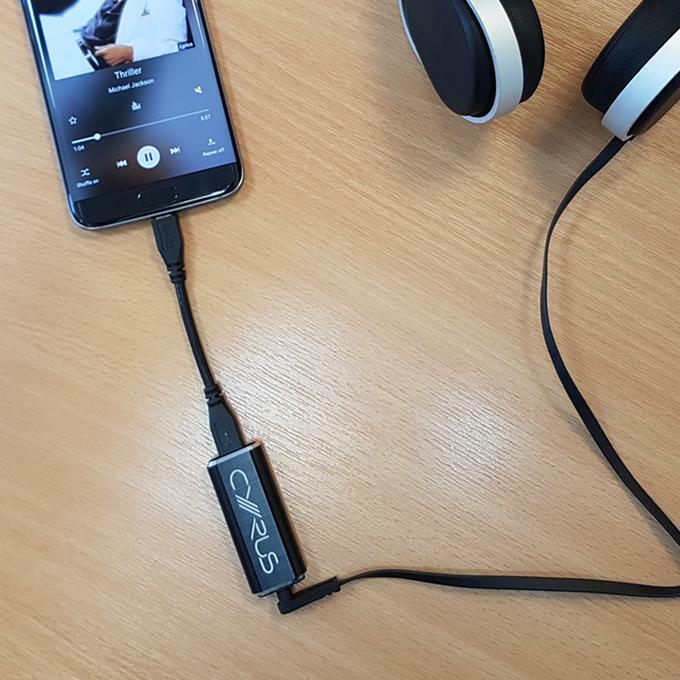 The device connects to the McCarthy Music Software via a USB cable or wirelessly via Bluetooth. Buy Now: $599.99. Mikey Digital Microphone: The Mikey Digital Microphone provides stereo audio recording using iOS devices. It allows mobile recording so you can record your music as you want. It provides stereo recording, a line-input, USB pass through and a stylish updated 230-degree rotating design. Buy Now: $65. 15 Must Have Tech Gadgets for Tech Savvy Teachers.